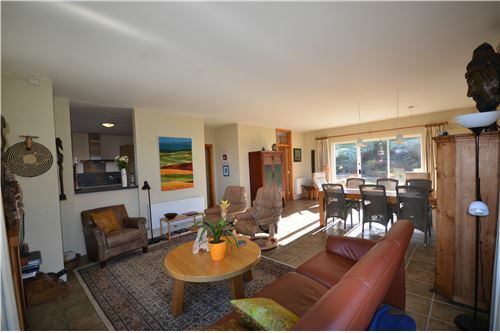 “Meanders” Brownswood comes to the market in excellent condition having been upgraded and lovingly maintained by its current owners. 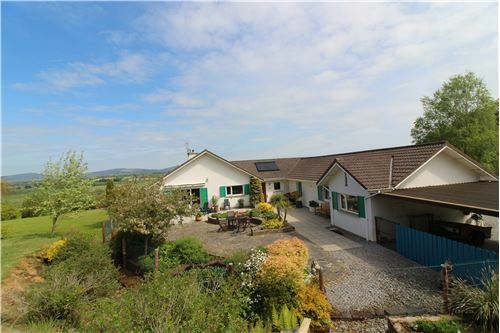 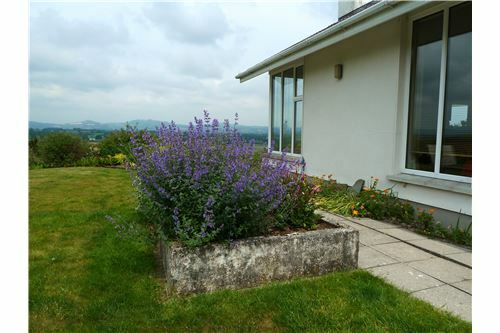 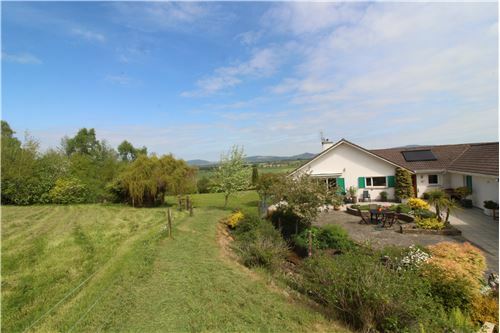 This spacious light filled bungalow is set on a generous elevated site with breath taking views of the local country side and of the River Suir. 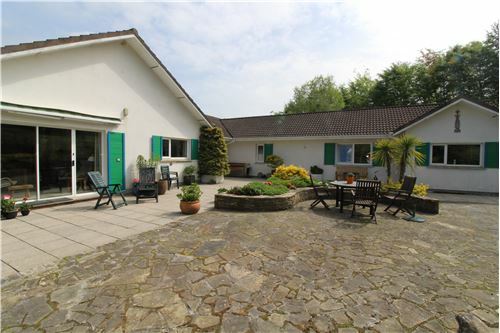 Built in 1997 to a very high standard and extending to 218 m² including the garage. 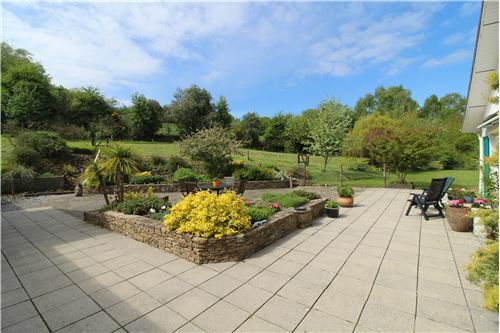 The property is approached by a sweeping tree lined driveway. 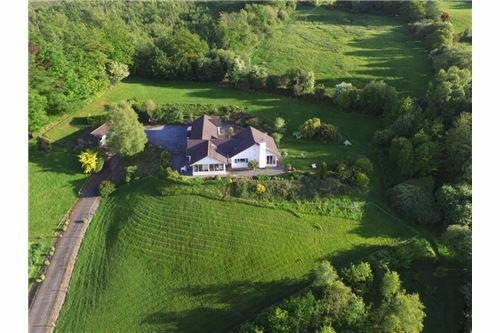 The unique design and location of this beautiful home will appeal immediately. 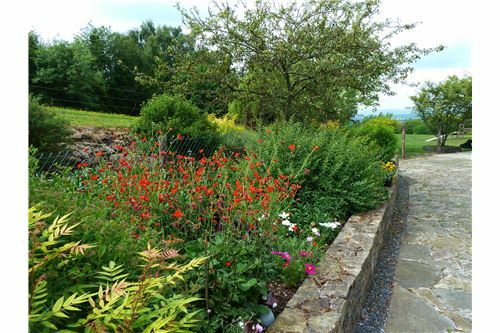 The property is surrounded by established, spacious gardens with flowering shrubs and woodlands, perennials, fruit trees, two patio areas and extensive lawns. 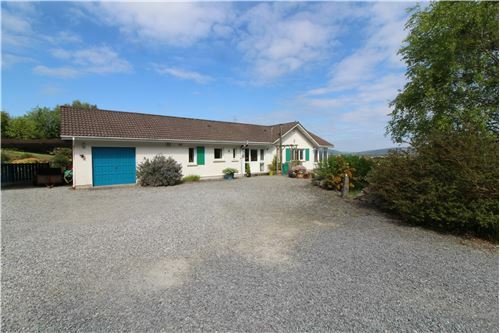 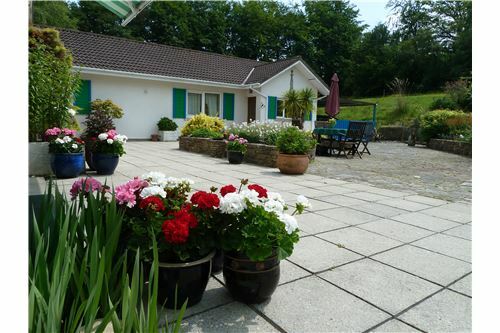 There is a spacious garage attached, a double car port, two stables with tack room and lean-to. 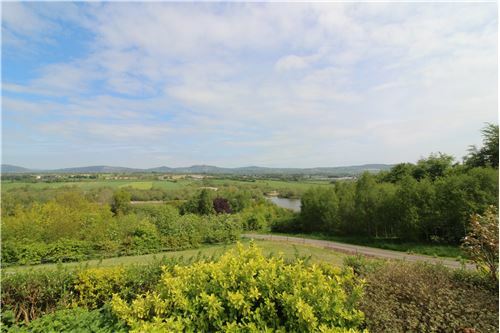 An adjacent field comprising of 5 acres can also be purchased. 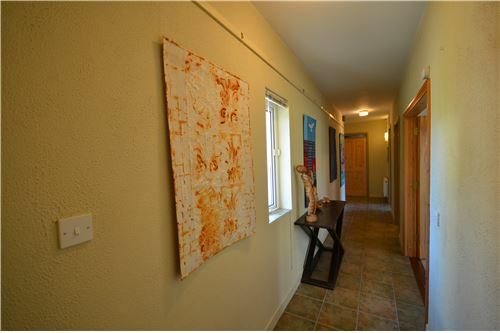 Accommodation briefly includes entrance hall, kitchen, dinning & living area, utility, wc, shower room, sun room, and three double bedrooms (one with en-suite). 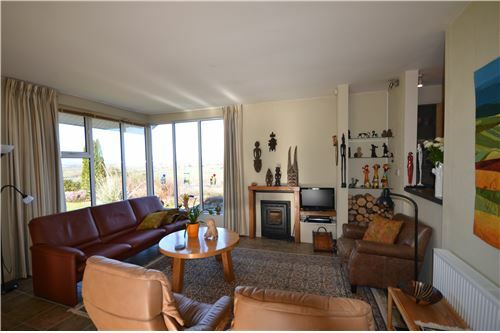 The spacious living/dining room benefits from a solid fuel stove and opens out onto the sun drenched south facing terrace and gardens. 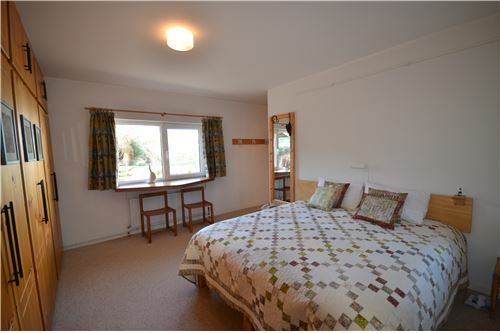 The master bedroom has an en-suite with double shower and a double whb, and a separate toilet. 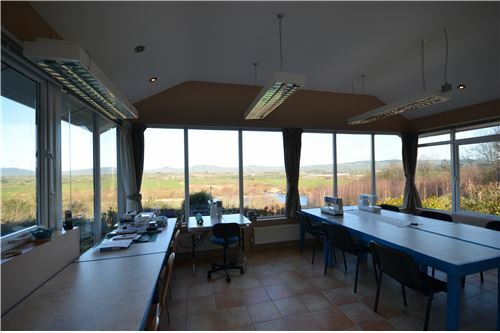 The large sun room is currently used as a studio but can be easily used as a reception /family/play room or work area. 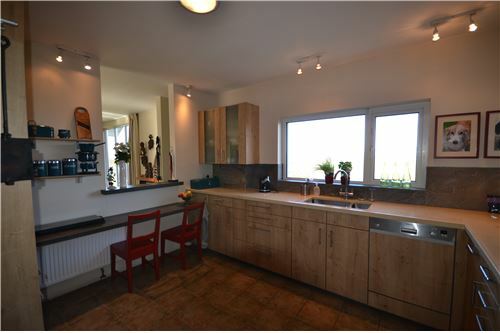 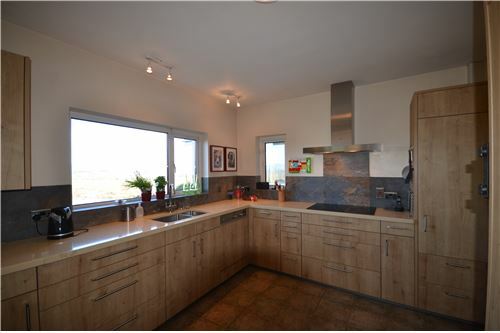 The German high-spec kitchen has been renovated in 2011 and has integrated appliances and natural-stone worktop. 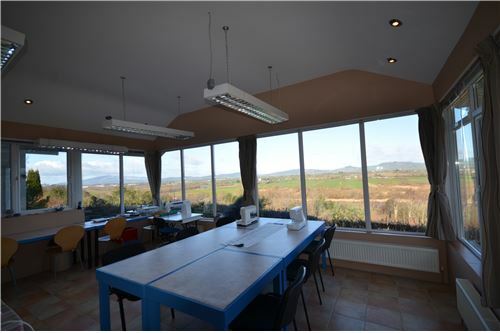 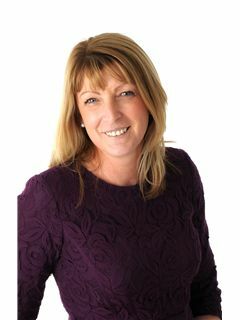 Heating is oil fired and the property boasts a C3 BER energy rating, pvc double glazed windows and solar panel. 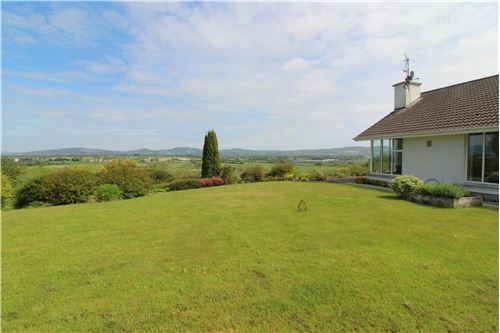 The property is ideally located: 5 minutes’ drive to Carrick-on-suir, 20 mins to Waterford. 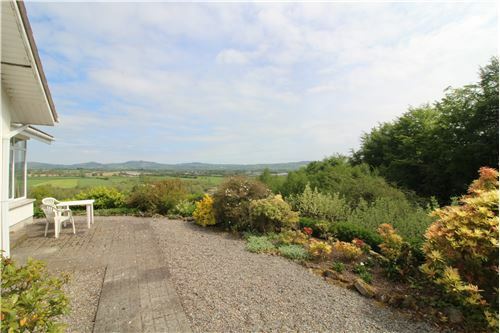 At the nearby Fiddown bridge, you have the option to approach Waterford from the North by the N24 that also connects to the M9 to Dublin, or from the South by the R680 or N25. 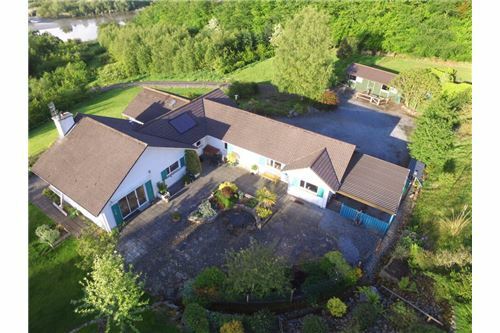 Carrick-on-Suir and Portlaw offer all amenities including schools, supermarkets, sport clubs, churches, restaurants, pubs, river and forest walks, fishing and horse riding. 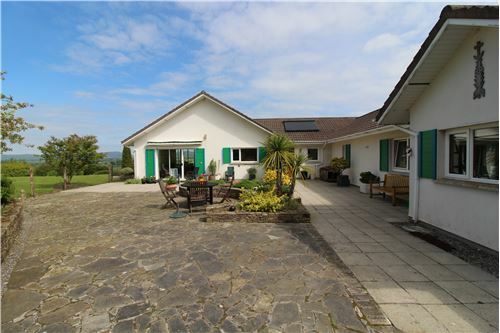 This is a truly magnificent home that will appeal to those looking for something special. 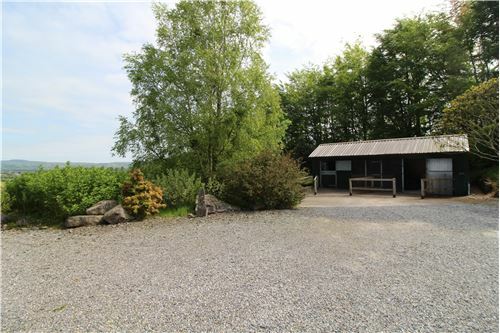 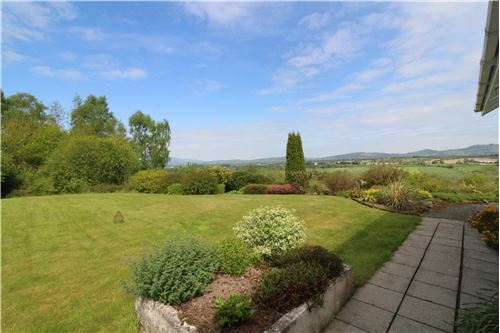 This property stands in an area renowned for its unspoilt environment and idyllic beauty. 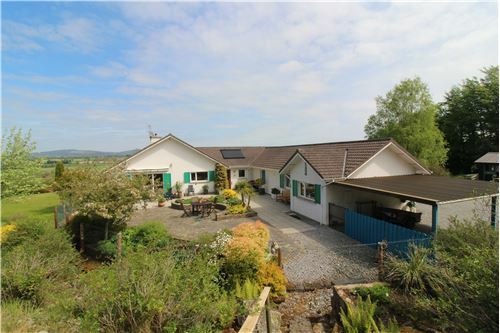 Viewing of this beautiful home is highly recommended. 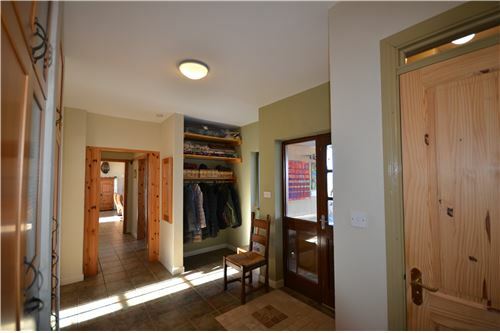 Entrance hall: (3.74m x 3.45m) tiled flooring, double doors to hall. 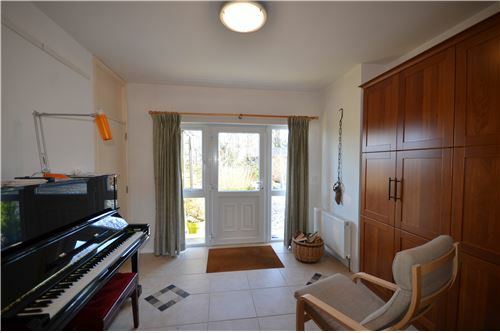 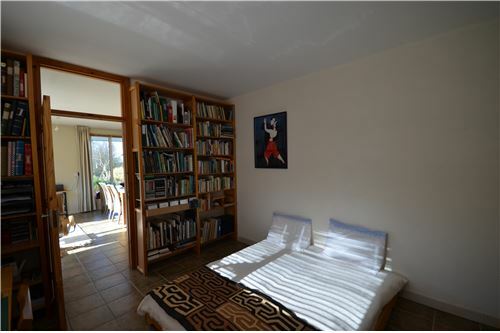 Living room: (5m x 8.24) Tiled flooring, patio door to rear, large corner window to front. 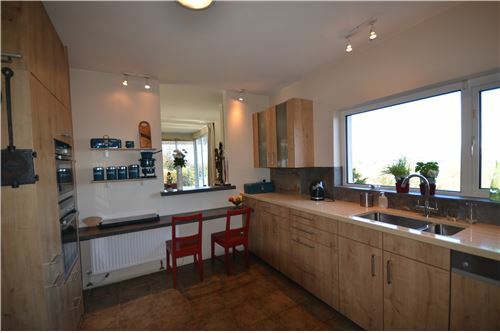 Kitchen: (3m x 4m) Tiled flooring, floor and wall oak units, integrated appliances, natural stone work top. 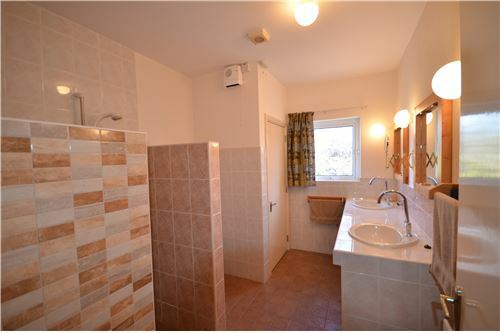 Utility: (2m x 4m) Tiled flooring, door to outside, storage units, plumbed for washing machine. 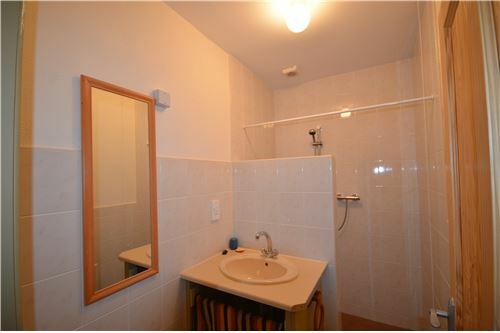 Shower room: (1.5m x 2.5m) Floor & wall tiles, shower unit, sink unit. 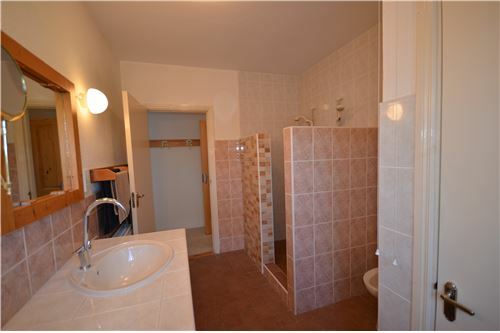 WC: (1.2m x 1.5m) Tiled flooring, wc & whb. 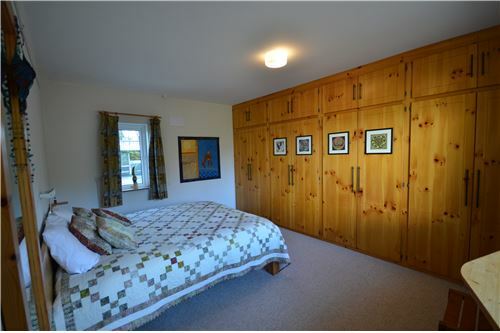 Master bedroom: (4m x 4.8m) Carpet flooring, fitted wardrobes. 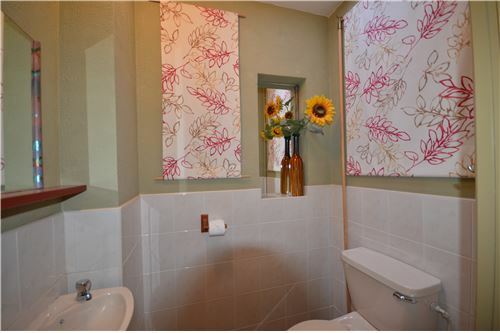 Ensuite: (2.5m x 3.5m) Floor & wall tiles, double shower & double whb unit. 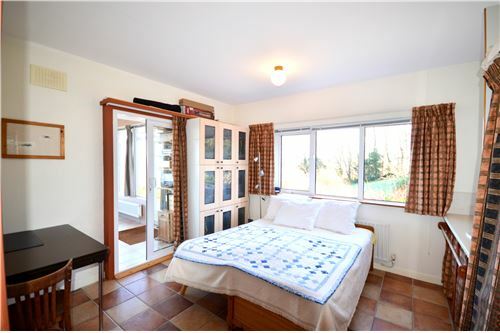 Bedroom 2: (4m x 3.5m) Tiled flooring, sink unit, storage unit. 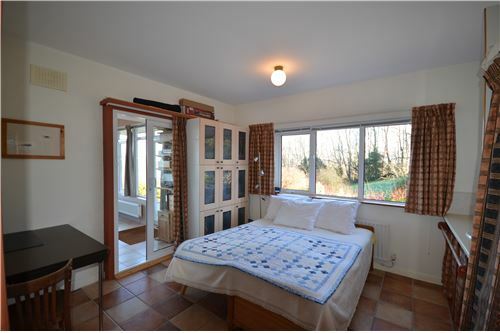 Bedroom 3: (3.5m x 4m) Tiled flooring.